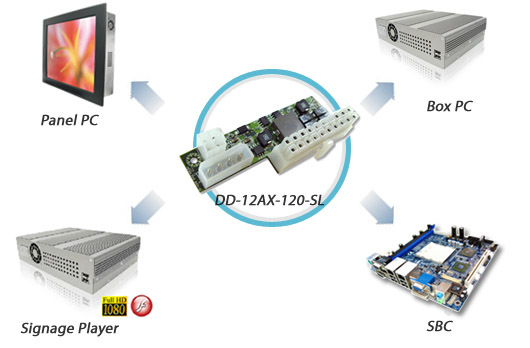 Winmate creates a 12V to ATX mini-sized DC Converter, DD-12AX-120-SL, to reduce the annoying ATX cable and valuable space for Mini-ITX SBC variable applications less than 120 Watt. 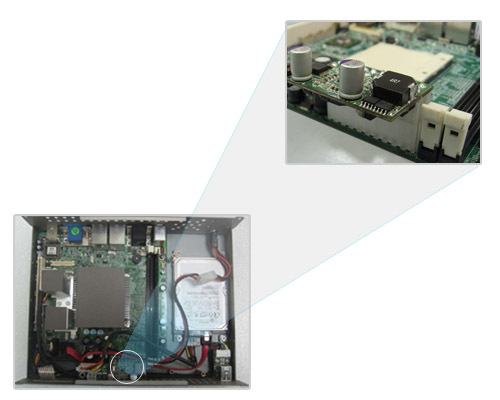 Winmate Communication Inc. is a professional Industrial LCD/DS/PC provider for over a decade. 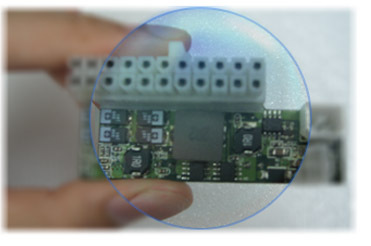 Winmate not only provides the system solutions, but also creates plenty value-added embedded modules. There is no need for heavy ATX cable blocking air flow and wasting space of the system. This makes installation easy and simple.